55 Football Nations spoke to coaches, clubs and fans before watching three games in Iceland and the Faroes. Are foreign players adding to these islands’ leagues. Or simply taking the treasure? I spotted a black man. He stood out against the whitened faces of the Faroese chatting and chilling in the bright environs of the café at Tórsvøllur, the compact international stadium in Tórshavn. He was wearing sports gear. 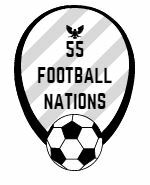 55 Football Nations is about meeting people from different football cultures, but locals were more preoccupied with the day’s whale hunt than another potential giant killing. Skála ÍF were to take on European perennials, HB Tórshavn, the following day. I introduced myself. He was Bakary Bojang, 30, born in Gambia and a Danish resident since he was 13. An attacking midfielder, he had made a few appearances for Tamworth in the Conference, played for the reserves at OB Odense, the Danish Superliga team, and had an injury-ridden spell in Oman. He now coached all of B71’s teams. The men’s first team were top of the Faroese third tier and he was waiting for them to arrive ahead of their game against KÍ Klaksvík’s third team. “I might play, I still have pace” he added. Bakary scored the opener in a 3-3 draw. B71 are unpaid amateurs, all locals. Promotion to the second flight would mean B71 could pay wages and recruit some international players. Bakary believes they improve the standard. “This helps as foreign players have different style and are more professional.” But they are paid more than the local players. Are they worth it? Stjarnan surprisingly struggled against a Vikingur team who fielded three spikey Serbians and a Scot, Alex Lowing, veteran of over 100 appearances in the Icelandic top division, who put in a solid performance at centre back against tall, physical, opponents. I had earlier seen Dion Acoff, an American winger, offer pace and skill rarely displayed by Icelandic players as Valur moved to top of the table with a victory against Breidablik. Perhaps, international players could offer a rare mix. I spoke to Thomas Jule, a former reserve goalkeeper and lifelong fan of HB Torshavn, ahead of my match in the Faroe Islands. He was less enamoured with foreign players’ contributions. “Their motivation is not so good and we need to change that. Otherwise, we can’t use them.” The highest paid international players earn around £5,000 per month in the Faroes. Thomas believes this is too high for the standard of football, noticeably lower than in Georgia and Iceland. I watched a number of foreign players at the Gundadalur stadium, shadowed by Tórsvøllur and mist shrouded mountains. HB dominated at first. Bright play from the Dane Sebastian Pingel provided Macedonian loanee, Aleksandr Stankov, with opportunities he spurned. Both faded in the second half, Stankov rarely involved, Pingel substituted. Skála brought their own international flavour with an experienced Hungarian goalkeeper, a sinewy Pole, two bearded Georgians, Toronjadze, a midfielder with typically decent control and little pace and Iobashivili, a bulky centre back who seemed barely able to run. I could see both sides of the coin. Matches in Iceland and especially the Faroe Islands are family affairs. Supporters of both teams and their children spill onto the artificial pitches of the Faroes at half-time and after the game. I saw my opportunity to play on a top flight pitch as part of 55 Football Nations. I politely grabbed a ball from a 12 year old boy and took a penalty against his 40 something father. It smashed against the crossbar. Perhaps some foreigners are best kept in the stands. As a reader of Sir Alex Ferguson’s autobiographies (of course!) I have to mention Jim Bett here, a prominent Scottish international in the 1980s who had a couple of spells in Iceland and, according to Wikipedia, has sons who played there and for the national junior teams. Fergie managed him at Aberdeen and Scotland (caretaker manager) and was a huge fan of his, but lamented that he was “too quiet to get the best out of his enormous ability.” The views of Bett’s former coaches in Iceland about the value he brought to his teams and to the league generally are, alas, not known to me!